Beautiful and comfortable space. Everything was new. Awesome views from the windows. Perfectly clean. The owner communicated well and arranged things for me. At night it was very quiet. Everything perfect in a very suggestive place. Hope we will come back one day! Nice little house, perfect for a couple of nights stay. Took our dog with us, which was great, and plenty of little walks close by , which was really lovely and not too far to go to local bars and very good restaurants. Locals very friendly . Great little find. Also great base to go traveling in the car to other villages and towns. House had everything you needed. A/c and heating , mini kitchen, microwave, fridge, and stove, also a washing machine and tv, great for watching the World Cup.Great facility’s for a very cheap price. If you want to get away from it all, and relax. This is for you. The owner has been very nice, we got lost to get the property and he waited long and he explained to us in Spanish how to get there by phone. The house was clean, with fridge and washing machine, perfect to stay there some days with a couple. The bed was comfortable. Free parking was possible near the location. Relación calidad precio estupenda. Es pequeña, pero tiene todo lo necesario. Se ve que es nuevo, la decoración moderna. La cama bastante cómoda. Hay aparcamiento en la misma calle. La ubicación de la casa espectacular justo al lado del río y a un paseo de 10 minutos de las zonas de interés. El aparcamiento en la misma calle. La casa era super acogedora y coqueta. Justo lo que necesitas para hacer una escapada! La cama muy cómoda, la cocina muy bien equipada. Todo muy limpio y las vistas... espectaculares como poco!!!!!! Recomiendo este alojamiento, quedamos muy satisfechos. Хорошая чистая квартира в очень интересном городке. Хозяин сам связался за день до приезда и сообщил все детали (как получить ключ и тд). Lock in a great price for Casa entre rocas – rated 9.2 by recent guests! 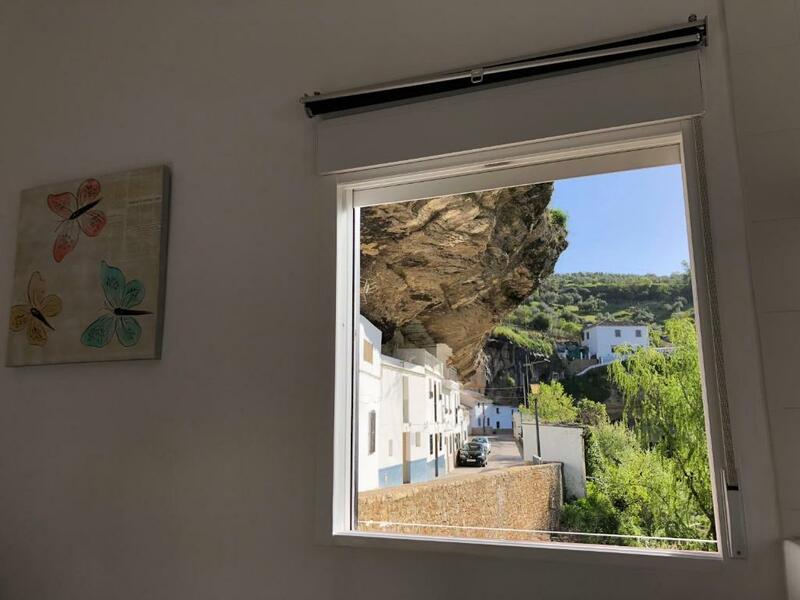 One of our top picks in Setenil.Located in Setenil, Casa entre rocas provides air-conditioned accommodations with a balcony and free WiFi. Guests staying at this vacation home can use a fully equipped kitchen. This vacation home with mountain views has a bathroom with a shower. A flat-screen TV is featured. 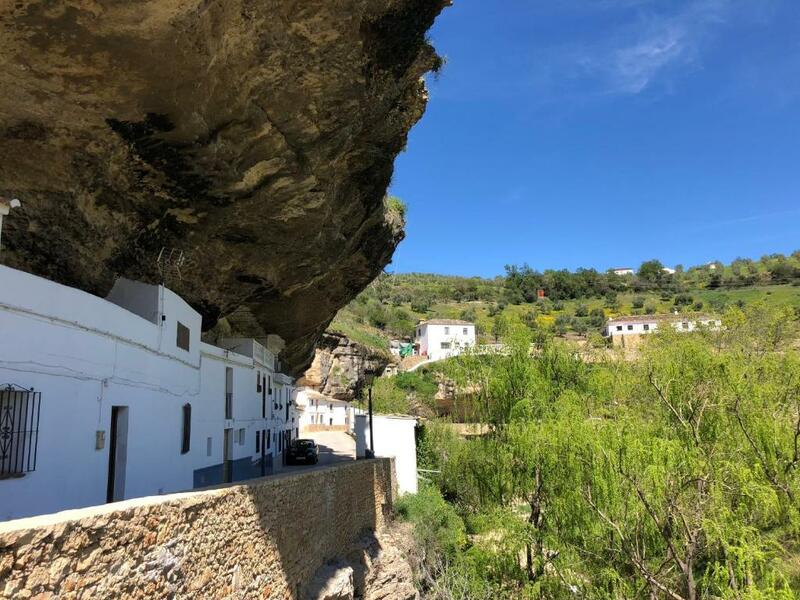 Ronda is 12 miles from the vacation home, while Grazalema is 19 miles from the property. Malaga Airport is 62 miles away. This property is also rated for the best value in Setenil! Guests are getting more for their money when compared to other properties in this city. When would you like to stay at Casa entre rocas? Casa situada en una de las zonas más pintorescas. Cocina con placa eléctrica, microondas, nevera, lavadora. Salón con chimenea eléctrica, amplia TV y sillón. Habitación con armario, perchero y cama de matrimonio. Baño con productos de higiene y toallas. Restaurante a 25 metros. Se admiten mascotas bajo petición y Wifi gratis en todo el edificio. Aparcamiento gratis en la misma calle y facil acceso. Barrio muy tranquila y a la vez bastante visitada. Aparcamiento gratis en la calle y facil acceso Restaurante el Bandolero a 25 metros. House Rules Casa entre rocas takes special requests – add in the next step! I can only think of some kitchen equipment that would be useful, like cups (there were only glasses) and a water boiler. Everything else was great. Bed was a little uncomfortable, but to be expected in an accommodation like this. But I’ve slept in worse. Smell from the drains from bathroom was a bit strong, but as you are right next to the river as well, understandable, but maybe needs a look at, and or some smellys in there, would be better. Maybe better if the house could have been inside a cave, but the location was so nice and there were such good facilities that I don't mind it. WARNING: The walls in the bedroom and the bathroom were damp and covered in black mould, hence the air in the house was unhealthy, causing respiration problems (SEE PHOTOS)!!! Even the towels were damp upon arrival! The house does not have an exact address and is not even nearly located where it is indicated on the map and the owner is aware of that but did not bother to correct it. It is at the edge of the town. The house is not one of those built under the cliff shown in the pictures. The kitchen was almost unequipped, and various items shown in the inventory list were missing (e.g., hairdryer). There is no balcony! The heating is insufficient. The washing machine had a bad smell. This is an unmaintained place that should not even have a permit, I think.